NBA All-Star Weekend 2016 takes place this year in Toronto from February 12th-14th. DJs have also been releasing NBA All-Star Edition mixtapes over the Valentine’s holiday. To highlight this weekend’s extravaganzas, this blog post reviews products from one of each of the activities. 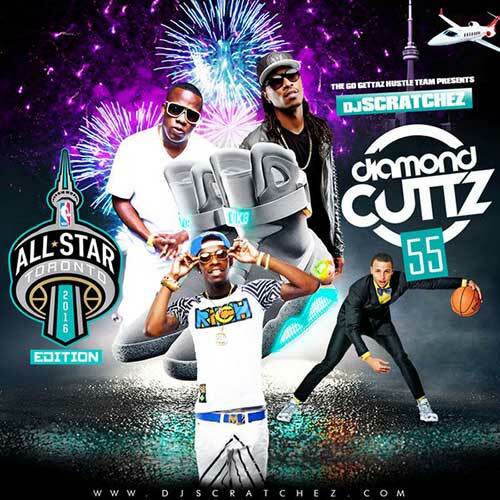 First, to start off your listening experience is DJ Scratchez, who hails from Canada, with the 55th edition in the franchise labeled “Diamond Cuttz”. This man always drops products jam packed with free music downloads. The “All-Star Weekend Edition” is no exception and contains a 46 song playlist with music by Nas, Beyonce, Cool Amerika, Travi$ Scott, Kevin Gates, 2 Chainz, Future, Skooly, Young Thug, Killa Kyleon, Raheem DeVaughn, Reese, French Montana, Styles P, Nicki Minaj, Future, and the list of recording industry artists just goes on. Most of his releases are a double-disc, so relax and get ready for some tunes! 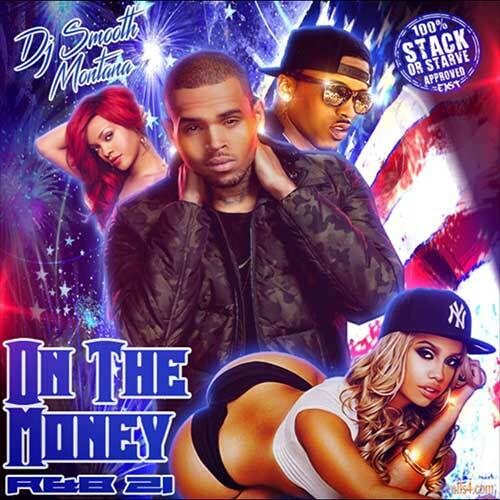 Next, DJ Smooth Montana gives you a treat for Valentine’s weekend with volume 21 in the collection labeled “On The Money R&B”. This installment is just in time for February 14th with free mp3 downloads from musicians such as 112, Mary J. Blige, Justin Bieber, Anthony Lewis, Rihanna, Angel Gold, Ty Dolla $ign, Jeremih, Tank, Tinashe, Ne-Yo, Jay Sean, Chris Brown, Trey Songz, and other popular acts. Normally, R&B tracks come with a mix of hip hop. Emcees also appearing on this drop include Jadakiss, Troy Ave, Fetty Wap, Rich Homie Quan, Dej Loaf, and a few others. One of the highlights from All-Star Weekend in Toronto was Charles Barkley betting Shaq that since he retired from the Lakers, he could no longer dunk. It appears by watching the video below, Mr. Barkley lost the bet. Now, Sir Charles has to hold up his end of the deal and go ice skating. This will more than likely be a “turrible” event.